The number of companies in Crypto Valley working with blockchain technology is growing rapidly. 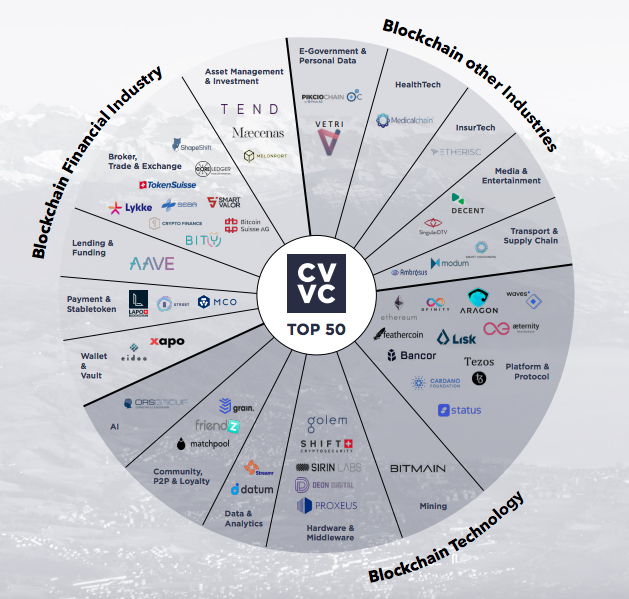 As of September 30, 2018, a total of over 600 blockchain related companies in Switzerland and Liechtenstein were registered on CV Maps. The number is nearly double that recorded in the spring of this year. Companies qualifying for this crypto super-league must meet three criteria: Firstly, blockchain technology has to be part of the company’s core business, secondly, it must employ more than one person in Switzerland or Liechtenstein, and lastly, it should make some contribution to the blockchain ecosystem and the wider Crypto Valley community. There are three additional criteria, at least one of which must be fulfilled: Funding in excess of US$10 million, a valuation of more than U$10 million or the provision of at least 10 full-time positions in Switzerland or Liechtenstein. According to the database, Blockchain companies employ around 3000 people in Switzerland. The Top 50 alone counts 443 employees. Most companies employ many more people abroad. PikcioChain PikcioChain enables the collection, certification and exchange of personal data. It protects the individual‘s data while making data acquisition and management easy for businesses. PikcioChain is providing the world’s first monetized personal data marketplace, and is revolutionary in its concept and idea. MedicalChain Medicalchain uses blockchain technology to securely store health records and maintain a single version of the truth. The different organisations such as doctors, hospitals, laboratories, pharmacists and health insurers can request permission to access a patient’s record to serve their purpose and record transactions on the distributed ledger. Decent DECENT is a Blockchain Content Distribution Platform that is Open-Source and utilizes Blockchain to ensure trust and security. Our intention is to revolutionize data distribution on the Internet. SingularDTV SingularDTV is a blockchain entertainment studio laying the foundation for a decentralized entertainment industry. Building the future of rights management, project funding, and peer-to-peer distribution, SingularDTV’s platform empowers artists and creators with powerful tools to manage projects from development to distribution. Grain Transparent contracts. Drastically reduced overhead costs. And instant payments. Facilitated by Grain’s blockchain solution. Matchpool Join and create communities you love. Search by interest for like-minded communities. Join pools by engage and privately chat with pool members ad create pools to start a community based around a specific interest. Datum Datum is a decentralized and distributed high performance NoSQL database backed by a blockchain ledger. This technology allows anyone to securely and anonymously backup structured data from social networks, wearables, smart homes, and other IoT devices. Datum provides a marketplace where users can share or sell data on their own terms. decentralised peer-to-peer network controlled by no one and incentivized by the DATAcoin token. monetary properties likened to Bitcoin, Litecoin and a myriad of countless alt coins, but under the hood is something very different. Maecenas The platform will be launched in 2018 and will be the first open blockchain platform that democratises access to Fine Art. A new online marketplace promises to give art lovers the chance to buy share in famous paintings. Keeping art safe but not hidden. to nasty chargebacks, credit card fraud and hacked account payments. With UTRUST you can accept multiple cryptocurrencies at once and all payments received will be converted to fiat currency to protect you from market price fluctuations.